Neighbourhood cider designed for afternoon consumption. The Kingsland-Morningside area is slowly becoming the brew capital of Auckland. Joining Garage Project's recently opened cellar door and craft beer outfit Urbanaut is a new cider upstart from a bunch of locals. The appropriately-titled MorningCider was born from a love of hospitality, the neighbourhood, and cider. The five-member collective comes with a wealth of industry knowledge; Nigel Cottle, Louise Giles and Tim Shallard are the folks behind not-for-profit cafe Crave, while Renee Duncan and Heather Buchan have both worked with the company. Starting with limited brewing experience, for the last three years the team has been refining their techniques using the Williams Warn brewing system. 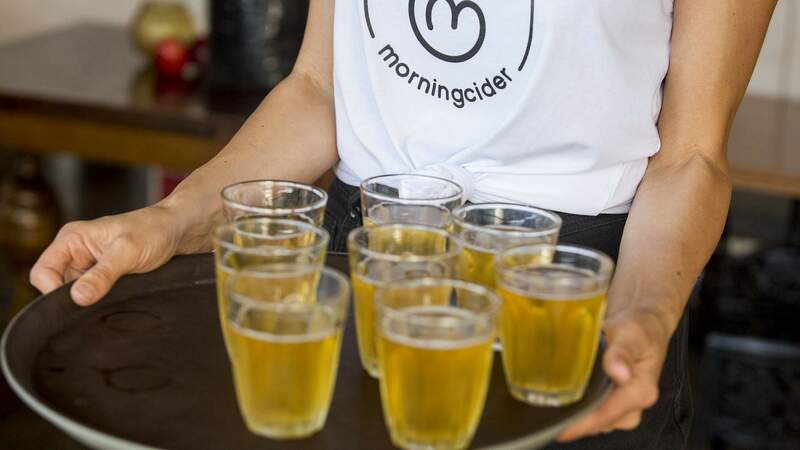 MorningCider's Tim Shallard says they're currently using "a pretty traditional brew method," with apples sourced from Hawkes Bay and New Zealand hops. 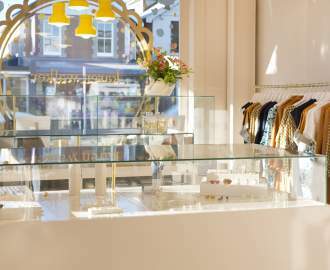 He adds that they will look to scale up once the demand increases. There are two brews on the MorningCider lineup, both designed around two different times of day — spoiler: not the morning. The 4:30pm is a light, hopped cider with a 2.5% ABV that is best enjoyed at 4:30 in the afternoon. The 6pm is a darker, more crafty, full bodied cider, best enjoyed at, you guessed it, 6 in the evening. Crave is currently one of the only destinations to sample the cider. The team is gearing up to open one of Auckland's only dedicated cider bars this winter. The MorningCidery will have New Zealand's largest selection of local and international cider, and will feature seasonal cocktails and cider sangria. A small space has been lined up, though more will be announced in the coming months. Following Crave's lead with community-focused events, MorningCider plans to oversee an urban gardening initiative. The company's plan is to adopt out 200 cider apple trees to those with room in the neighbourhood. The goal is to use the fruit annually to brew a signature MorningCider, from the neighbourhood, with the neighbourhood, and by the neighbourhood. For more information about MorningCider, visit morningcider.co.